Jonas, and Sara (L to R) born on 02 Feb 1922, in Nowa Wieś, near Bircza, Poland (once part of Galicia in the Austria-Hungarian Empire). Shortly afterward, he moved to Korzeniec, also near the Jewish shtetl (community) of Bircza. He had four siblings; Sara, Matilda, Bernard, and Gerszon. Operation Barbarossa of June 1941 saw the Germans invade Russian-occupied Poland. My grandfather’s parents told him to flee (ironically, not because he was Jewish, but because the Russians had forced him to join the Communist Youth League), and he fled eastwards to the Ural Mountains, where he later began a family of his own. 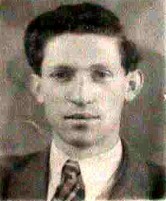 To this day, the fate of his immediate family (save for his father, who died of a heart-attack in the Bircza area ghetto) is unknown. My great-grandfather wrote his name Dawid Löwenthal-Mond recte Niger (Dawid Löwenthal), which—according to information provided by Suzan Wynne and included in her book, The Galitzianers: The Jews of Galicia, 1772–1918—suggests that he legally bore the name of his maternal family (Löwenthal), since his parents had not conducted a civil marriage, and indicated his father’s name (Mond) through the hyphenation. Dawid was born into a religious family centred around Przemyśl, but, like his older sister Lea, he was progressive. His other siblings, Esther and Israel, were known to be orthodox. (I write ‘known to be’, because Israel moved to Buenos Aires before 1922, and was reported dead under peculiar circumstances. It is possible that he became secular, and did not want his father to disown him.) Esther married a Lauberfeld, and had at least four children, two of whom are remembered to be Simche and Rywka. Lea married Hersz Orling (from the city of Przemyśl), and their children were: Mendel, Rywka, an unknown, Israel, Sara, and Jakow. Rywka married before the war, and when my grandfather escaped, he stayed one night at Rywka’s house in Rybotycze, not far from Bircza. He remembers she had a child, but nothing more. 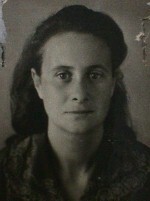 Dawid’s mother, Sima Löwenthal, died during my grandfather’s childhood. She left her house to her children. After that, the Löwenthal-Mond House in Korzeniec held the families of both Dawid and Esther. Dawid’s father, Mosze Mond, lived with Esther (in her section of the house), since he disapproved of Dawid’s secular lifestyle. Esther and Jakób Tepper, c. 1960scame from a religious family as well, but her father was more understanding and open-minded. My grandfather’s maternal uncles and aunts included: Blima, Esther (Ewa), and Jakób. Esther and Jakób were the only other members of his near-family to survive the war; they escaped to Uzbekistan, and later moved to Poland, albeit to the other side (to Wałbrzych/Waldenburg). Esther then married Artur Abraham Oberländer (or Oberlender) (from Drohobycz, Ukraine), and Jakób married a woman named Musia. All four eventually moved to Malmö, Sweden in the early 1960s; Artur and Esther (Z”L) passed away in 1991 and 2002, respectively. Artur’s mother was Klara Rothstein, (his father’s name is not known), and he had an uncle, Isak Samuel Rothstein. All died during the Holocaust. Indeed, Artur’s first wife and son were killed by Ukrainians, before he was forced into the Red Army. Blima Tepper married briefly, but divorced because of her husband’s gambling addiction. Majer Tepper, 1905–1910The Tepper family patriarch, Majer Israel (Meʾir Yisraʾel) Tepper, was born 05 Aug 1874 in Mrzygłód, a shtetl near Sanok, Poland. He moved, however, to Nowa Wieś, the home of my family’s Teppers. His wife, Szajndel Bierfass, had a sister, Regina who lived in Leszczawa Dolna, and had married Aron Schnell, and had five children: a daughter born in 1896, Moti (born in 1906) and Szmuel, both of whom married before the War, Icyk Hersz, and Josef. Another sister, who had married a Freifeld in Żohatyń, a village not far from Bircza, had a daughter, Feige, who emigrated to New York City. A third sister married into the HOCH family and had a son, who survived the Holocaust, but was murdered by Poles shortly thereafter. When Feige Freifeld emigrated to the United States in 1911, she arrived together with a cousin, Gittel Hoch, the daughter of Moses Hoch, from Jawornik Ruski. 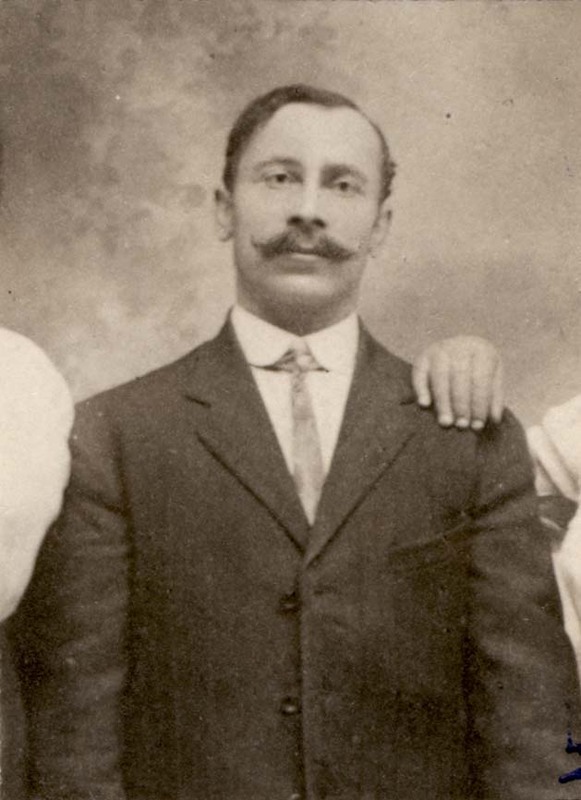 However, it is uncertain whether Moses Hoch was Feige’s uncle, or perhaps another relative. 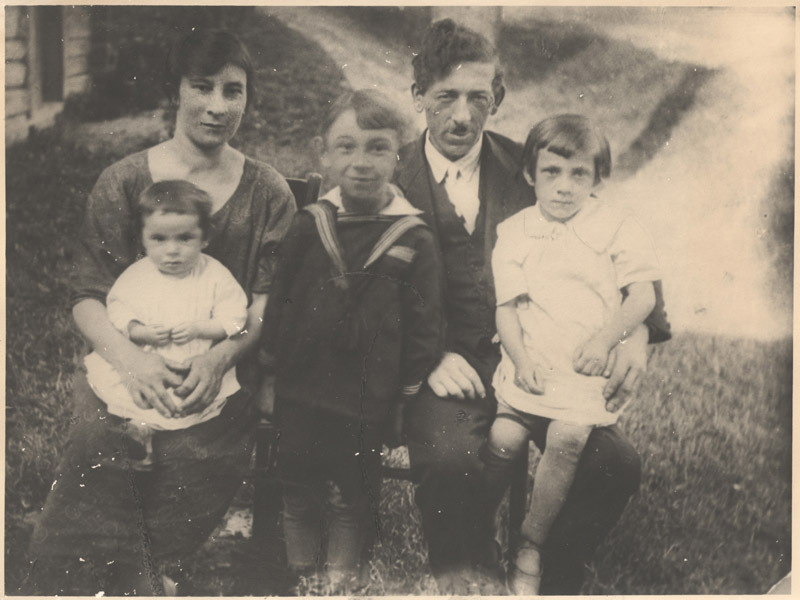 Recently, we have discovered that Szajndel had a younger brother named Meilech (Elimelech) Bierfass (born 01 Jan 1882), who married Etl Dyler (born in 1891, the daughter of Asher Lemel Dyler and brother of Tsvi Dyler, who survived the Holocaust). They had several children: Malia-Brendl (born 1913), Chana (born 1915), Markus, Zisl (born 1922), Shaindl (born 1925), and Shava or Sara (born 1927). Except for Markus, they all perished in July 1941 in Jawornik Ruski, where the Bierfass family had originated. Markus survived the Holocaust believing that his entire family had perished. He and his family immigrated to Israel, where he died in 2009—six months before our families discovered each other and before he could learn of the existence of his surviving first cousin in Sweden, Jakób Tepper. Dawid Bierfass (Szajndel’s father) had raised his family in either Jawornik Ruski or a neighbouring village of Żohatyń. (Conflicting recollections also place his family around Niżankowice.) Other Bierfass relatives, namely the Hamer and Turner families also lived in Żohatyń. The farthest we go back on the Tepper tree is to Kalman Tepper, the father of Szlomo Tepper, a man who had three children: Jonas (Jojne) Tepper, Feige Tepper and a younger brother, all born in Dynów, another village near Sanok, Poland. Feige married Meir Fisz, and had at least three children: Esther, Sara Tsirl/Tsurl, and Mendel. Esther married Salomon Leib (Shlomo Aryeh) Lischner from Tyrawa Woloska, near Sanok, and they had four sons in Dynów: Isak, Mechel (Mikhaʾel), Nachman (01 Apr 1901–23 May 1993), and Hersch Meilech (Tsvi Elimelekh). Isak (1896–1942) married Ita Knor and had Rachel and Yisrael. Mechel (1899–1942) married Schifera Landau (c. 1906 to 1908–1941) from Tyrawa Woloska and had a daughter, Lea (Lusha), in 1936. Hersch never married, but moved to Przemyśl. These three sons and their father all worked as merchants until the War, when they all perished, at the Bełżec concentration camp, in Tyrawa Woloska, or in Lviv, Ukraine. Nachman Z”L survived the war and moved to Israel with his wife, where he passed away on 23 May 1993. Mendel Fisz married Malka Elster and had four children: Icchak, Naftali, Peisach, and Feige, all of whom apparently perished in the Holocaust. The brother of Jonas and Feige Tepper also married and had at least two sons: Shiye (or Shaye) Tepper, who married Malle Wöfling (related to our family through a maternal line) and David Tepper. Both brothers may have emigrated to the United States. Jonas Tepper, and his wife, Matel (Molly) Gärtner, lived in Mrzygłód (where she was from), and had four children: Majer, and three daughters that emigrated to the United States around 1902. Majer followed them, and lived in New York City during two periods working as a baker (1905–1907 and 1909–? ), but returned before the First World War, and when the War began, took his family to Koice, Slovakia, out of fear of the Russian army. He did fight in the war on the Austrian side, faring better than my great-grandfather, Dawid, who also fought as an Austrian soldier, but was captured (presumably while defending the fortress of Przemyśl), and taken to Siberia. It is assumed Dawid escaped back to Poland during the Russian Revolution. 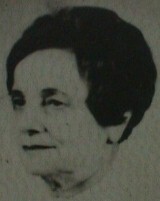 Josephine (Pepi) Tapper (née Tepper), the eldest of the three sisters that emigrated to New York City, had married her first cousin Sigmund Gartner (né Gärtner) a mural painter, in Poland and immigrated with her eldest child, while pregnant with her second daughter, Elizabeth; they would ultimately have six children. Her younger sister Clara (Klara Ḥayyah) Tapper (née Tepper) had also married before emigrating from Poland, to Samuel Tobias, and they had two children. The third sister, Sadie (Sarah) Tapper (née Tepper) eventually married Harry Goldsmith in New York City, but their marriage did not last and they had no children. Today, the descendents of the six children of Josephine and Sigmund Gartner make up a large family, mostly in the metropolitan New York City area; the Tobias family also continues to flourish. We are all trying to trace our roots further back than our common ancestors Kalman, Szlomo, and Jonas Tepper. Town gossip rumoured that Dawid (Löwenthal) had an extramarital son, Ludwik Lach (12 Apr 1919–12 Mar 2010). During his life, Ludwik never confirmed if the reports were true, but he addressed his letters to my grandfather, ‘Dear Brother’. The physical resemblance between Ludwik and my grandfather Jonas, and especially, between Ludwik and Dawid, is striking. Ludwik passed away on 12 March 2010. If any of this information sounds familiar, if you know anyone mentioned in here, or if you are from (or know someone from) any of the places mentioned (especially the Bircza area), please contact me. I would be very interested to hear from you. My grandmother, Dina Drozhanska Lewental, was born 01 May 1924, in Vinnitsa, Ukraine. As Germany invaded Russia, a Jewish neighbour, fleeing eastwards with her daughter, offered to take my grandmother with her. In doing so, she saved my grandmother’s life. Although my grandmother married in the Ural Mountains and lives now in Israel, she has not forgotten her family, and it is quite possible that she has first-cousins still alive in Russia and the United States. Kryna (Ḥayyah) Isakovna Bykova, was born around 1890. Hayya had at least two siblings. A brother, surnamed Bykov (male form), lived near Moskwa, and a sister (who probably married) emigrated to the United States, either the East Coast or Los Angeles. My grandmother remembers receiving packages from her before the ‘Peasant War’ began in the 1930s. My grandmother also had a brother, but he died while an infant. She doesn’t remember her grandmother’s name, which is only decipherable through her mother’s patronym (Isakovna → Isak / Isaac). Her grandfather lived through the 1920s, and died while my grandmother was a girl. The packages from America were addressed to him, and they stopped shortly after his death. Alter Shmajovich (son of Shmaja) Drozhanski, was born earlier than her mother, most likely, and other than that, little is known of either him or his family. My grandmother grew up in Vinnitsa, one-time part of the Podolsk Region (now a large city in southern Ukraine). A website about the Jewish community in Vinnitsa exists on the Internet, however, it does not mention much about genealogy and history, just about the current life of Jews there. If any of this information sounds familiar, please contact me. I would be very interested to hear from you. note: this page is best viewed using UTF-8 encoding.